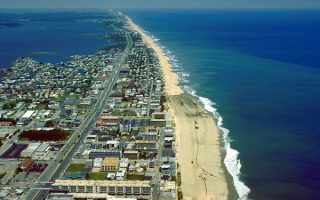 Ocean City and nearby Reboboth Beach are among the most popular vacation areas on the east coast: 10,000 residents but 10 million annual visitors! Folks from nearby metro areas flock there in the summer for the miles of long beaches and family-friendly atmosphere. 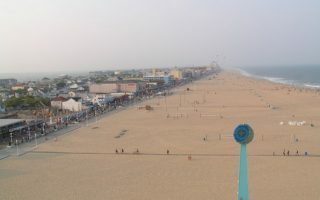 The highlights of running in Ocean City and Rehoboth Beach are the beaches, which stretch for miles and feature firm sand close to the water. Each area has a boardwalk that makes for a fun run, and pleasant side streets with little traffic and typical summer beach homes. 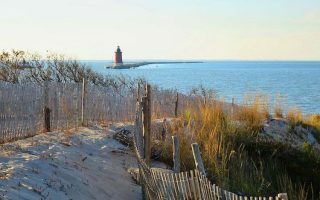 Cape Henlopin State Park, in the northern part of Rehoboth Beach, has a 3-mile paved bike path and some pleasant nature trails. We don’t recommend the main coastal road, which is busy, and not very pretty. Pleasant park for running with about 1.5 miles of paths and numerous sports and other facilities. A loop around the perimeter is about 1 mile. Combine with a beach run, 0.5 miles to the east. Nearby residential streets are also good for running. 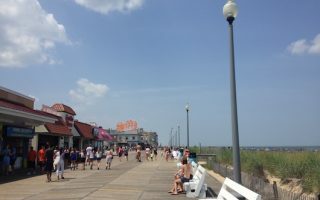 Some good options for running in Ocean City as an alternative to the beach and boardwalk. 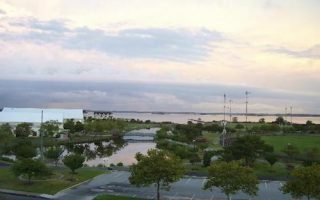 Residential neighborhoods near Northside Park, on the bay side and the ocean side. We also recommend the Isle of Wight/Lighthouse Sound area. In addition to the miles of beach and boardwalk, there are some other good running options in the area. We recommend the pleasant residential side streets off the beach, miles of trails in Cape Henlopin State Park, and Gordons Pond Trail. Summers, the peak tourist season, are hot and humid for running, so avoid the height of the day and hydrate accordingly. Average July-August high temps are in the mid-to-high 80sF (28-30C), with warm nights, cooled off by ocean breezes. Fall is the best running season and the beaches/boardwalks less crowded. Winters are cool but not cold, with average January highs in the mid-40s (7-8C), and nights dipping to just below freezing. Snow and ice are occasional and do not stick around long. Spring can be nice, but can sometimes be chilly and overcast due to winds coming off the cool ocean. 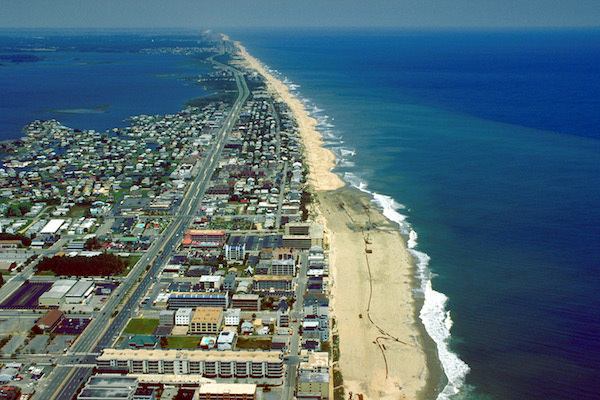 There are also outlet stores for Adidas, New Balance, Nike, and Sketchers, and Asics in the Rehoboth Beach area. See map. The Seashore Striders are an active running group in the area. They hold group runs Tuesdays 6pm at Grove Park. Also longer runs on many weekends. Calendar. Calendar of area running events. Another Calendar, maintained by the Seashore Striders. There’s a Marathon in December, and numerous other events throughout the year.